World War Two ended with an action that was never taken before in the history of warfare, and has never been taken since. It required the efforts of a team of scientists. 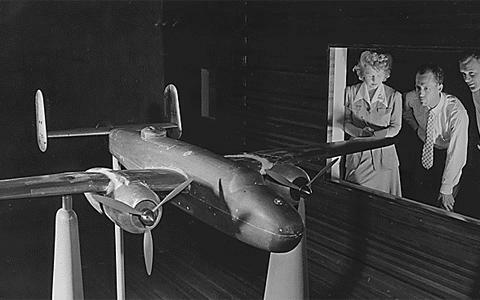 Working in secrecy, they designed and built the first atomic bombs. President Harry S. Truman made the decision to use these weapons against Japan in August of nineteen forty-five. 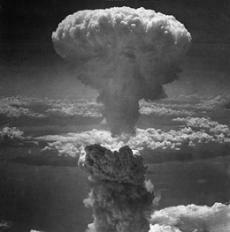 PRESIDENT TRUMAN: "The world will note that the first atomic bomb was dropped on Hiroshima. We shall continue to use it until we destroy Japan's power to make war." STEVE EMBER: America's use of atomic weapons brought years of conflict in Europe and the Pacific to an end. But it also marked the beginning of the nuclear age. And it represented, in a dramatic way, the growing importance of science and technology in modern times. Interest in science goes back to the earliest days of the nation. President Thomas Jefferson and Benjamin Franklin were famous not only as political leaders but also as inventors and scientists. President Abraham Lincoln and Congress established the National Academy of Sciences during the Civil War in the eighteen sixties. And in the early nineteen hundreds, the nation created scientific offices to study and improve agriculture, public health, even air travel. By the start of World War One in nineteen fourteen, the federal government was employing scientists in many areas of work. President Woodrow Wilson created the National Research Council to organize the work of scientists and engineers to win the war. However, before World War Two, government support for science was generally limited. The government was willing to pay for research only to meet certain clear goals, such as better weapons or military transport systems. World War Two greatly changed the traditionally limited relationship between American scientists and the federal government. In the early years of the war, the German forces of Adolf Hitler showed the world the strength of their new tanks, guns and other weapons. President Franklin Roosevelt knew that the United States would need to develop modern weapons of its own if it entered the war. For this reason, Roosevelt established a National Defense Research Committee in nineteen forty to support and organize research on weapons. The new committee included some of the top scientists in America. Among its members were the presidents of Harvard University, the Massachusetts Institute of Technology and Bell Laboratories. The committee did its work so well that Roosevelt later formed an even more powerful Office of Scientific Research and Development. The leader of both groups was Vannevar Bush -- no relation to the future presidents. He had long experience as a professor of electrical engineering and as an inventor. Many scientists knew him. Vannevar Bush put together a hard-working team. And in the years that followed, American scientists and engineers developed one invention after another to help the war effort. Scientists developed new devices to help the Navy find German submarines. They improved methods for bombers to find their targets. And they developed more powerful rockets to protect American troops when they landed on foreign beaches. American scientists and doctors also made great progress in improving the methods of wartime medicine. World War Two may well have been the first war in history in which a wounded soldier was more likely to survive than to die. But, in many ways, the most important scientific development of the period was the atomic bomb. In nineteen thirty-nine, Albert Einstein wrote President Roosevelt a letter. The scientist told the president that it might soon be possible to build a powerful weapon -- a weapon that would use the power of the atom. And he urged Roosevelt to get American scientists to build the atomic bomb before German scientists could build one. Roosevelt agreed. He created a special team of scientists. Their work became known as the Manhattan Project. Roosevelt made sure that these scientists got all the money and supplies they needed. Roosevelt died before the scientists could complete their work. But in April nineteen forty-five, the scientists told the new president, Harry Truman, that they were almost ready to test their invention. Just three months later, they exploded the world's first atomic bomb in the desert in the southwestern state of New Mexico. Truman had to make a difficult decision. He knew the atomic bomb would cause widespread death and suffering if it was used on a Japanese city. But he was willing to do anything to avoid the need for American troops to invade Japan. A "Little Boy" atom bomb. 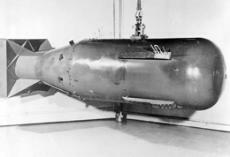 This was the kind of bomb used over Hiroshima on Aug. 6, 1945. In Japan, a new prime minister and government were searching for a way to end the war. But Truman believed that the Japanese were still not ready to surrender. And he felt it was his duty to end the war as soon as possible. On August sixth, nineteen forty-five, the first atomic bomb fell on the city of Hiroshima. Three days later, a second A-bomb fell on the city of Nagasaki. PRESIDENT TRUMAN: "Having found the atomic bomb, we have used it. We shall continue to use it until we completely destroy Japan's power to make war. Only a Japanese surrender will stop us." PRESIDENT TRUMAN: "It is an awful responsibility which has come to us. We thank God that it has come to us, instead of to our enemy. And we pray that he may guide us to use it in his ways and for his purposes." STEVE EMBER: The Radiation Effects Research Foundation in Japan estimates that between one hundred fifty thousand and two hundred forty-six thousand people died within two to four months of the bombings. The bombings left Japan's rulers with no choice. In less than one week, they surrendered. 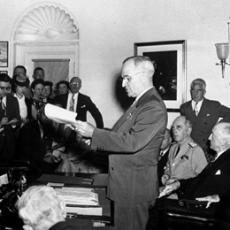 PRESIDENT TRUMAN: "I received this afternoon a message from the Japanese government. I deem this reply a full acceptance of the Potsdam Declaration, which specifies the unconditional surrender of Japan. In the reply there is no qualification. Arrangements are now being made for the formal signing of the surrender terms at the earliest possible moment. General Douglas MacArthur has been appointed the Supreme Allied Commander to receive the Japanese surrender." STEVE EMBER: In this newsreel, we hear General MacArthur accepting the surrender of the Japanese Empire. NEWSREEL ANNOUNCER: "The Battleship Missouri, fifty-three thousand ton flagship of Admiral Halsey's Third Fleet, becomes the scene of an unforgettable ceremony marking the complete and formal surrender of Japan. General of the Army Douglas MacArthur, Supreme Allied Commander for the occupation of Japan, boards the Missouri. Fleet Admiral Nimitz, Pacific Fleet Commander, and Admiral Halsey welcome MacArthur and his Chief of Staff General Sutherland aboard. It is Sunday, September second, nineteen forty-five." GENERAL MACARTHUR:" We are gathered here, representatives of the major warring powers, to conclude a solemn agreement whereby peace may be restored. The issues involving divergent ideals and ideologies have been determined on the battlefields of the world and hence are not for our discussion or debate. The terms and conditions upon which surrender of the Japanese Imperial Forces is here to be given and accepted are contained in the instrument of surrender now before you. I now invite the representatives of the Emperor of Japan and the Japanese Government and the Japanese Impreial Headquarters to sign the instrument of surrender at the places indicated. STEVE EMBER: American scientists and engineers proved that a war could be won with research as well as bullets. And all Americans learned how much could be gained when government agencies, scientists and universities worked together for common goals. Roosevelt had understood this long before the war ended. He asked Vannevar Bush to study how the federal government could work with scientists and universities in peacetime. Bush offered a number of ideas to President Truman at the end of the war. He told the president that science was important to America's progress and safety. He called on the federal government to support scientific study and education. 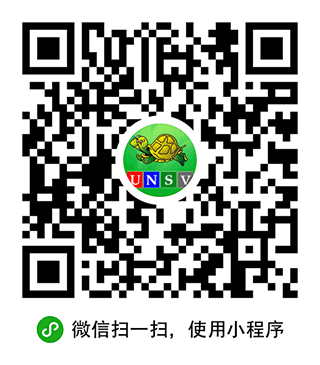 Professor Bush said that the nation's universities should be greatly strengthened. He called for the creation of a new government agency to provide money for science projects. Truman and Congress agreed with Vannevar Bush. And in the next few years, American research efforts expanded. In nineteen forty-six, the Office of Naval Research was created to support basic science study in universities. In the same year, the government created the Atomic Energy Commission. And in nineteen fifty, it created the National Science Foundation to provide support to thousands of the nation's best scientists. In the years that followed, American science would grow beyond the wildest dreams of Vannevar Bush and other scientists of his time. Universities would add thousands of new students along with new laboratories and research centers. By the middle of the nineteen sixties, the federal government would spend more than thirteen billion a year for research and development. And five hundred new centers of higher learning would be created. All this investment would help make the United States the world leader in such fields as computer science, genetics and space travel. This was program #197. For earlier programs, type "Making of a Nation" in quotation marks in the search box at the top of the page.